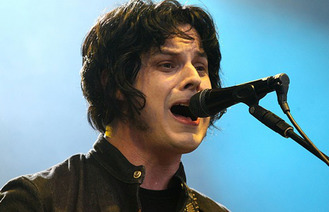 Before finding fame with The White Stripes the rocker worked as an upholsterer with his friend Brian Muldoon, with whom he formed a short-lived band called The Upholsterers and recorded two singles. Now Third Man Records have revealed that two separate individuals have reported finding the hidden music. A statement on the record label's site said: "Recently Third Man Records has been made aware of the discovery of two different copies found by two separate individuals of the 2nd single by The Upholsterers. "This duo, comprising of actual upholsterers Jack White and Brian Muldoon, pressed 100 copies of this single and proceeded to hide them in furniture being reupholstered by Muldoon in 2004, in celebration of his 25th year in the business. "In celebration of these discoveries, Third Man would like to share with everyone the cover art for this single, done by noted Detroit artist Gordon Newton."